It’s a balancing act finding the perfect children’s furniture. On one hand, you want a piece with longevity, that will adapt to changing needs (and growing bodies). 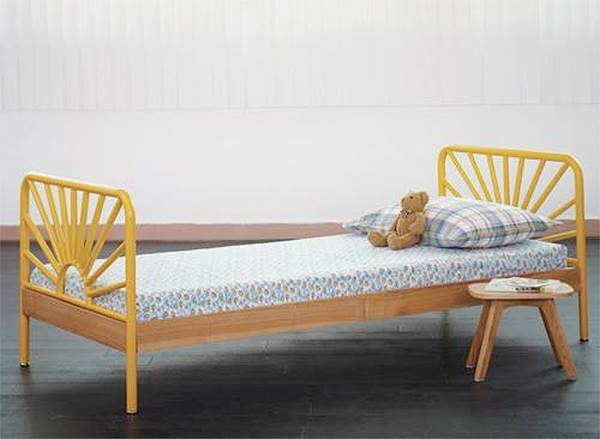 On the other, furniture has to meet the immediate, and often unique requirements of children. Add to that parental preference for a certain design aesthetic and fitting out the nursery can be very tricky indeed. 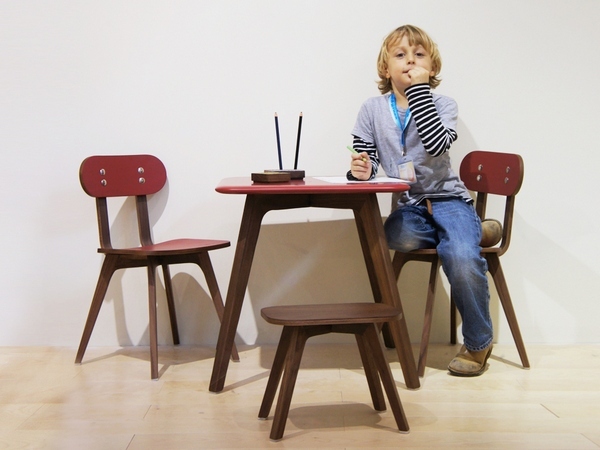 Introducing Sand, an original furniture and accessories brand for kids created by Italian designer Silvia Marlia. Sand strikes the perfect balance – simple, contemporary style in modern and appealing finishes combined with designs that are extremely practical. 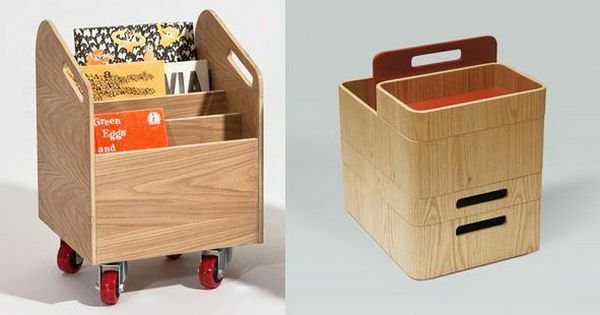 For example, the neat Books on Wheels piece is a reinterpretation of the classic library cart, but scaled for children – far more accessible than a tall bookshelf and, as a book lover, the idea of being able to move books with you from room to room is very appealing. 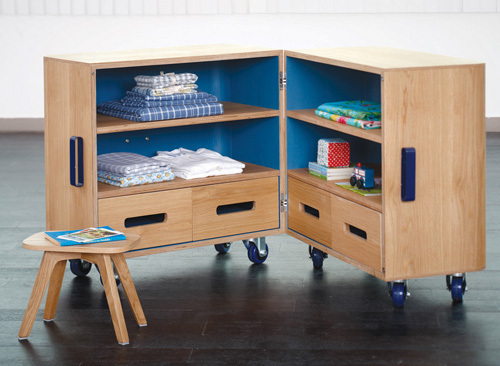 The range also includes an ingenious rolling cabinet that borrows storage inspiration from a classic travellers trunk (shown at top); chairs, tables and stools; and a stunning bed with a cheerful welded ‘sunrise’ design. I also love the Sand Toolbox, a clever stacking storage system ideal for all the small bits and pieces kids love to accumulate. Sand furniture is now available in Australia at Kido Store. Prices begin at $125. The Books on Wheels piece is $495 and the rolling cabinet is $1945. Kido Store deliver Australia-wide.